Director, Lyrica US Marketing - Pfizer, Inc. Following his first job in research at the Jewish Hospital of St. Louis after graduating from SIUE in 1986, Charles has practiced pharmacy at two pediatric hospitals, Blank Children's Hospital in Des Moines, Iowa and the Texas Children's Hospital in Houston, Texas. He then moved to Director of Strategic Alliances and Development for the National Association of Chain Drug Stores (NACDS) and the American Pharmacists Association (APhA) before entering his position in the Cardiovascular and Metabolism Unit for Novartis Pharmaceuticals Corporation. "One of the most important lessons learned at SIUE was the concept of lifelong learning, which to this day drives me to develop new skills to improve my business acumen." In addition to serving on the SIUE School of Pharmacy Advisory Board, Charles established an endowed scholarship for the School of Pharmacy in 2005. "Throughout most of my professional career, I have worked with pharmacy students," he said. "Because I no longer have direct contact with students, I wanted to do something to continue to support them. Charles also created the scholarship because of the Dragovich and Holesko family legacies at the University. 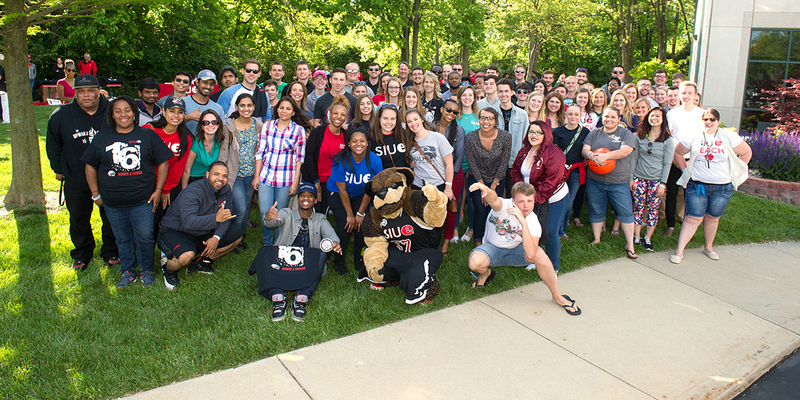 His mother, father, sister, maternal uncle, aunt, both children and over 10 first and second cousins have all taken classes or graduated from SIUE. Charles lives in New York City and enjoys the challenge of biking in Manhattan and throughout the five boroughs. He also enjoys exploring the numerous cultural and sports institutions in the New York metro area.